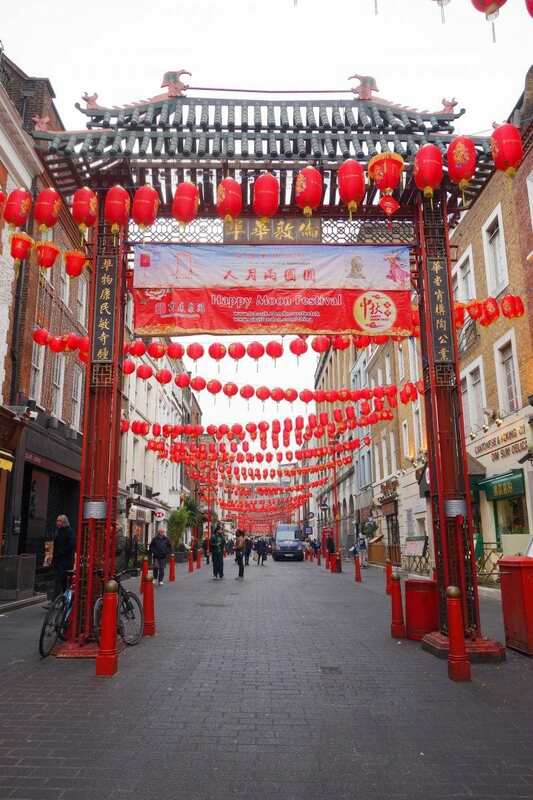 Chinatown is an area of central London that’s full of culture, colour and history. 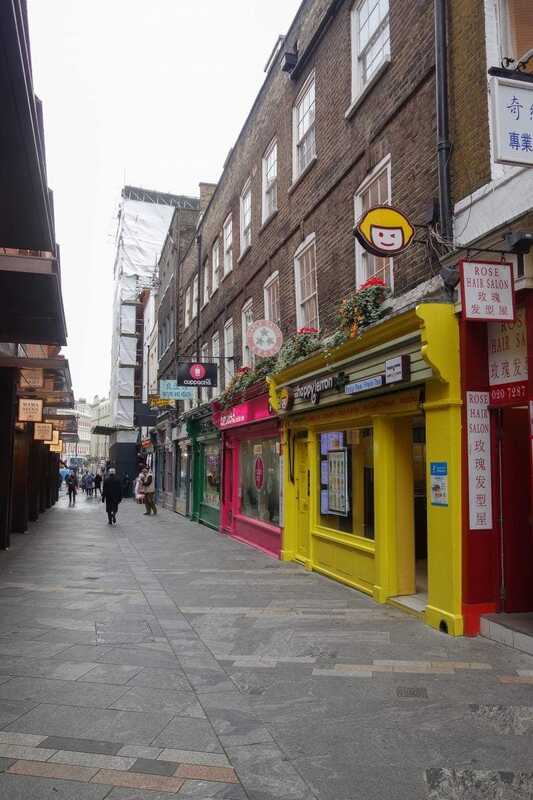 First established in the 1970s, this thriving part of the city sits in the heart of London’s theatre-land and is home to an abundance of authentic Chinese restaurants, supermarkets and health and beauty shops. 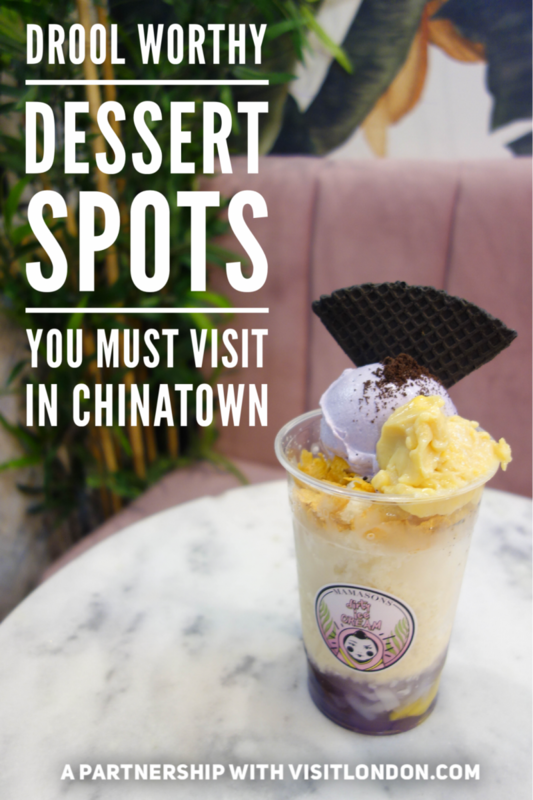 Having such a huge sweet tooth myself, I’m always on the lookout for where to go for dessert and thankfully Chinatown has plenty of options … and unique options at that! 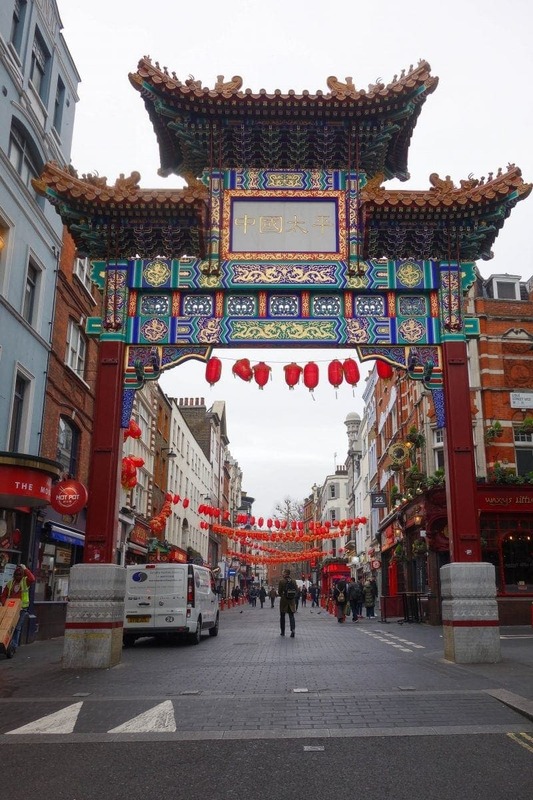 I went on a tour with Visit London to not only seek out these desserts but most importantly to celebrate the Chinese culture. Especially with Chinese New Year not far away. Tsjujiri is a dessert bar specialising in all things matcha. 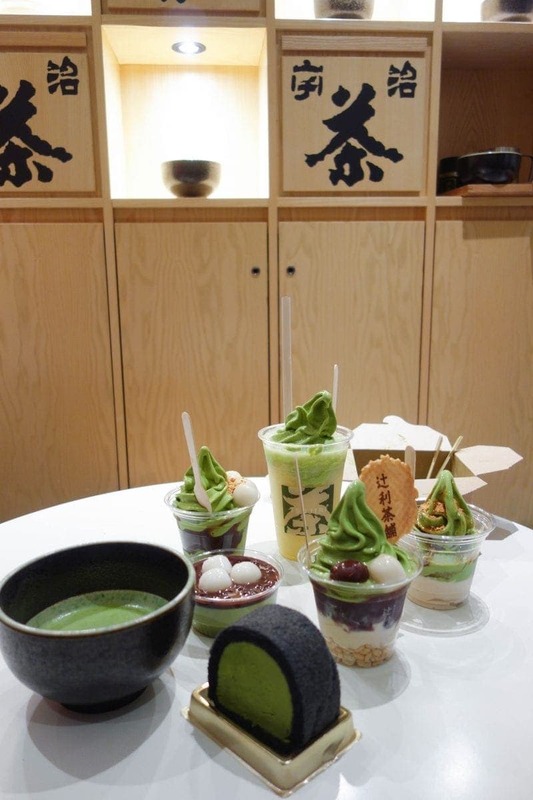 If you haven’t heard of matcha before, it’s a type of Japanese green tea known for its ‘superfood’ properties and believe me, things don’t get any more super than their creamy matcha ice-creams and decadent matcha puddings which can all be washed down with their matcha tea. They started in Kyoto, Japan way back in 1860 and once you try them you’ll realise there’s a good reason why they’re still going strong today! If you’re looking for somewhere unique to eat dessert look no further than Mamasons Dirty Ice Cream. They’re a Filipino dessert parlour which took its name from the ‘dirty icecream’ sold on the streets of Manila. What makes them so different are their desserts based around ‘ube’; a variety of purple yam and yes, that means everything is PURPLE. No, a purple potato isn’t usually the first ingredients the comes to mind when thinking about dessert but you can’t knock it until you’ve tried it. 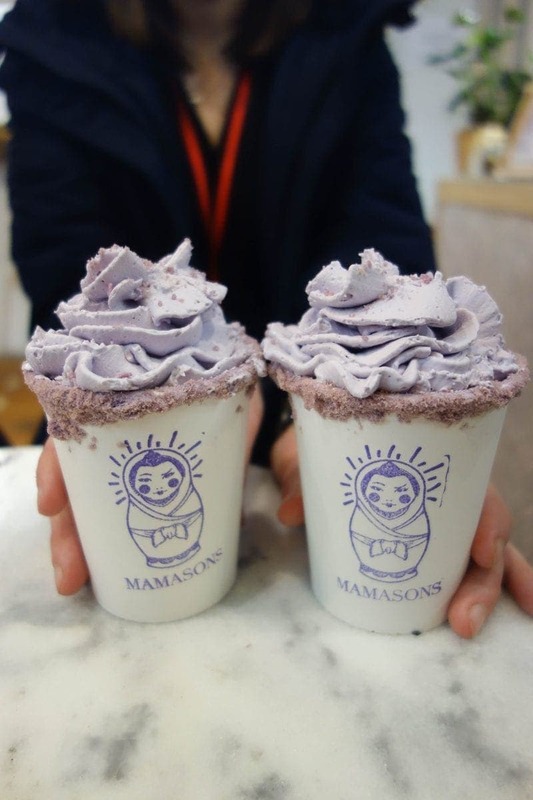 They do ube brownies, ube hot chocolates plus their signature ube ‘halo halo’ which is similar to a sundae but with layers of coconut jelly and condensed milk. Everything doesn’t JUST taste good at Mamasons, the place also looks like an absolute dream. Style and substance. 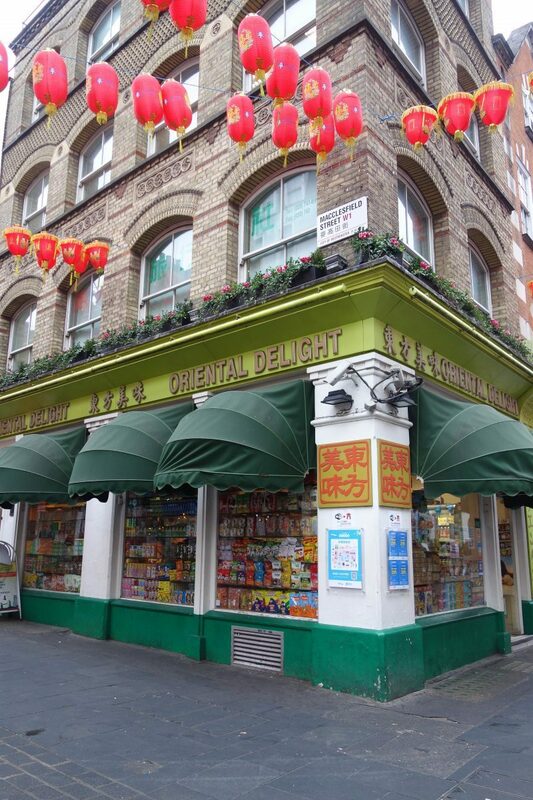 Behind a tiny ‘hole in the wall’ just off Chinatown you’ll find Yi Fang fruit tea. 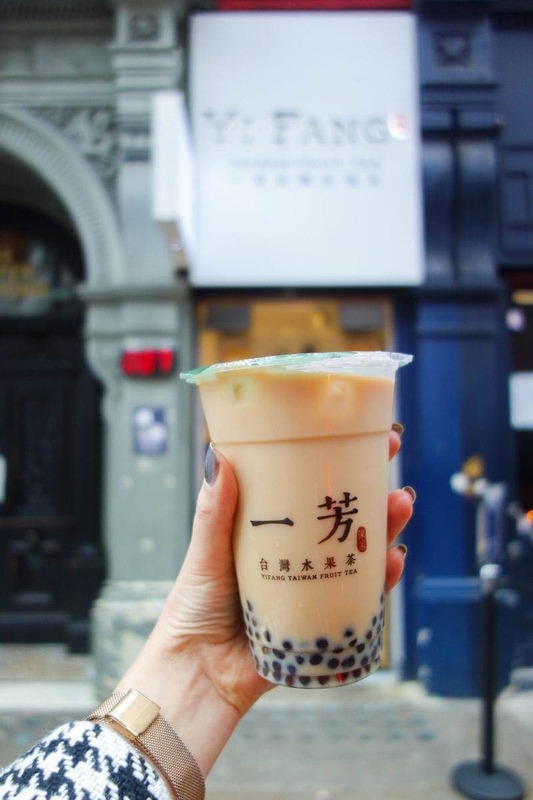 Yi Fang (named after the founder’s grandmother) are specialists in Tawainese fruit and bubble tea and their recipes have been passed down through generations. What sets them apart from the crowd is that all of their tea and fruit is grown and harvested by them so they only except the highest quality produce. The shop might be small but their reputation is big. Dessert done differently! Chinatown Bakery (and its sister BAKE) are Chinatown’s most popular bakeries. Inside you’ll find a whole wall of Asian inspired cakes, buns and tarts as well as soft serve ice cream, bubble waffles plus a few savoury options. 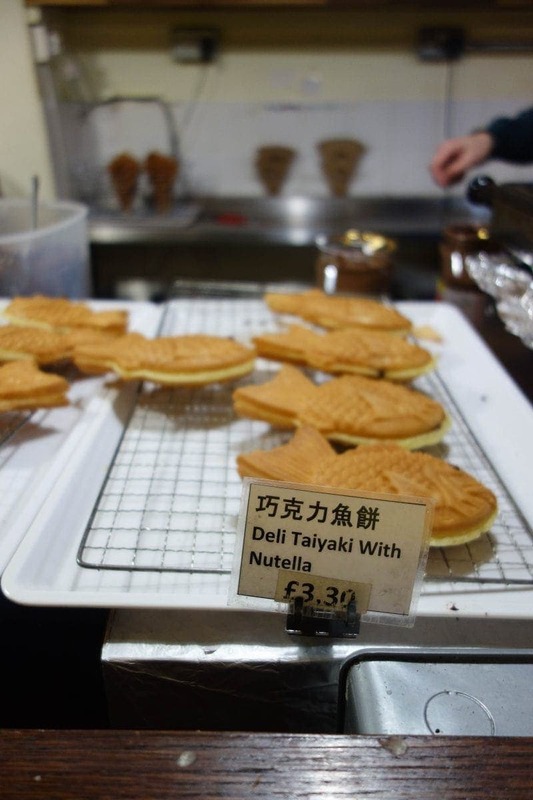 Most people visit to see their mesmerising Taiyaki machine in action which pumps out freshly made fish-shaped waffles stuffed with creamy custard. I read on the Chinatown website that each of Bake’s items are painstakingly conceived to perfection, taking an average of 2-3 months to create. That’s dedication to the cause! Bubble waffles originated from Hong Kong all the way back to 1900 where street vendors needed to find a way to use up leftover eggs. Bubblewrap has given them had a 21st century makeover and over the last year has become one of the most talked about and photographed desserts in London. Their fluffy waffles are cooked fresh and stuffed with ice cream, fruit and chocolate sauce making it an Instagrammers dream! When it first opened the queue was nearly 2 hours long but thankfully you won’t have to wait that long anymore to get your bubble waffle fix! 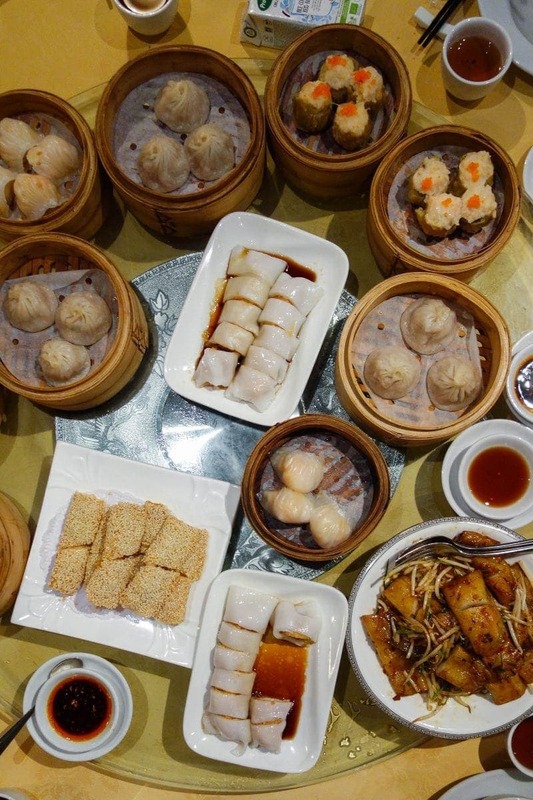 It is 100% recommended to snap a shot of it up against the colourful landscape of Chinatown. 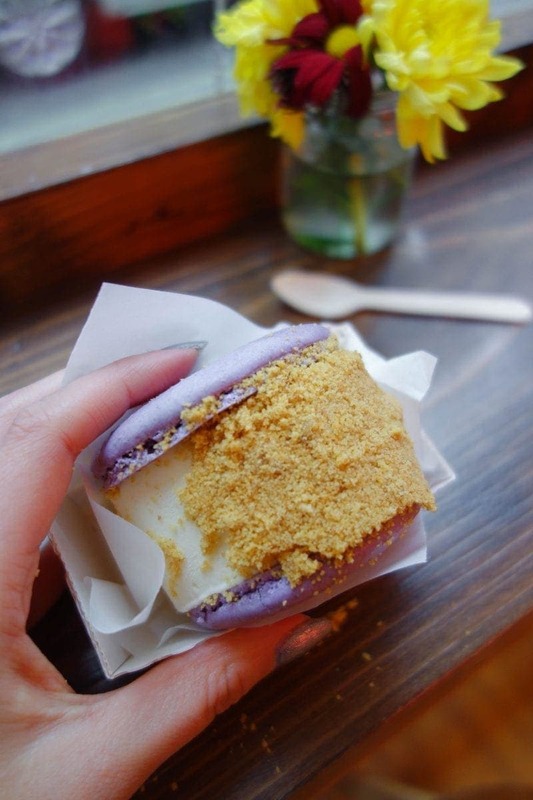 What do you get if you combine a macaron and ice cream? You get a Yolkin! Yolkin started their life as a street food trader and slowly have made a name of themselves selling their unique take on an ice cream sandwiches. What makes them so unusual you ask? Well, instead of biscuits they use macaroon shells and instead of your bog standard icecream Sammie, the owner, has come up with some unique flavour combos like you wouldn’t believe. The story goes that she always had leftover yolks when baking with her daughter and thus her egg yolk ice cream was born. Thankfully that’s just one of the flavours you’ll find in her catalogue of many unique combinations and in particular I’d highly recommend the blueberry cheesecake! Some seriously photogenic desserts. 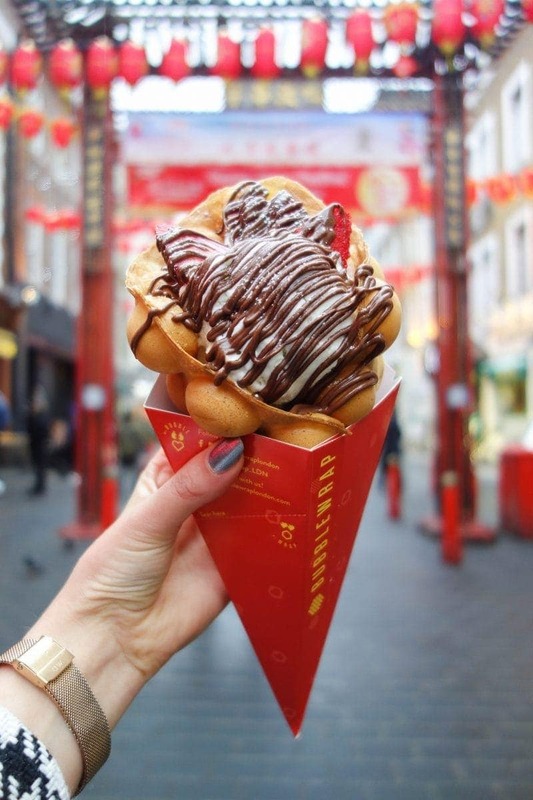 I hope you’ve enjoyed our tour of Chinatown’s drool worthy desserts and don’t forget to check out Visit London for details of the upcoming Chinese New Year celebrations. You won’t want to miss it! Next Post Breakfast London – An Interview with Founder, Bianca Bridges.